There are a lot of film festivals around the world. It seems Toronto hosts more film festivals than any other city in the world — many of them screening right downstairs from Festival Tower at the TIFF Lightbox building. And each year we receive invitations from festivals both near and far – we would love to support them all – but TIFF has always been our main focus. But TIFF is a "no-time-to-eat-or-breathe" festival. After spending countless hours each summer collecting press releases, researching film titles, and updating the TOfilmfest website — when it's all over, we usually escape the city for a more relaxed experience. For the past few years, we've found ourselves at the Ottawa International Animation Festival. Although it's the largest animation festival in North America — same-day tickets can be bought at each theatre, line-ups are short, and crowds much smaller. It reminds us of the way TIFF used to be, in the early 90's — when it was called the 'Festival of Festivals'. We have often considered adding a spring-time film festival to our calendar. Hot Docs, North America’s largest documentary festival takes place here in Toronto every spring — but that wouldn't seem like a vacation; we need to escape the city! So earlier this month, we headed down to the Maryland Film Festival. Baltimore is within a day's drive of Toronto, or a short flight from Pearson to Baltimore/Washington (via Air Canada), or Billy Bishop to Dulles, Virginia (via Porter Airlines). The Maryland Film Festival opened on a Wednesday, with a program of short films in the beautiful 525-seat Brown Center at the Maryland Institute College of Art. There were 127 films screened over 5 days – including 31 foreign films from 18 countries – and it all wrapped up on a Sunday, with a closing night film at the oldest movie theatre in Baltimore: The Charles. 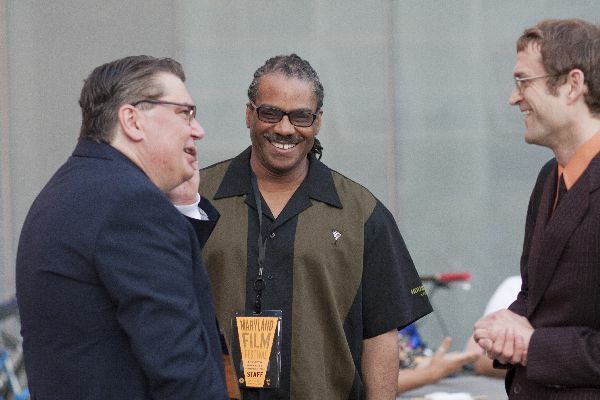 As the growth of TIFF is often attributed to its director Piers Handling, credit should be given to Jed Dietz, who as the director of the Maryland Film Festival, has steered the festival to another record year for attendance (ticket sales jumped almost 50% in 2013). The MDfilmfest's motto is "film for everyone", and director of programming Eric Hatch has ensured that their line-up is a good mix of local stories, indie flicks, and art-house draws. To accommodate future growth, the festival is looking to redevelop the Parkway Theatre, at the corner of Charles St and North Avenue. Originally build in 1915 as a single theatre of 1,100 seats, the Maryland Film Festival has partnered with Johns Hopkins University and the Maryland Institute College of Art for a $17M redevelopment. The plan calls for a 420-seat theater for film and music events, plus two 90-100 seat theaters to be carved out of the pair of adjacent buildings, along with offices, academic spaces, and a ground-floor restaurant.